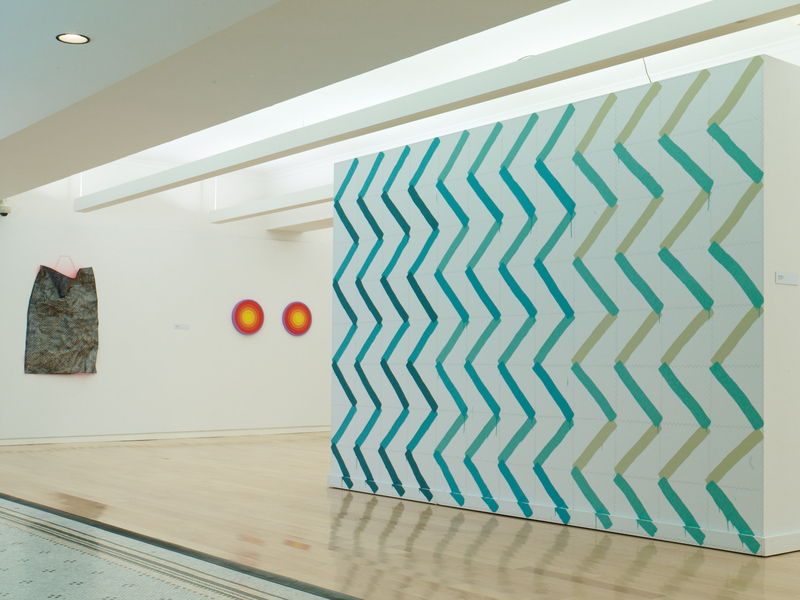 Installation view of “Present Standard” at the Chicago Cultural Center, 2016. I hold disdain for the word “standard;” it’s sterile with little gusto and woefully ineffectual when discussing art. 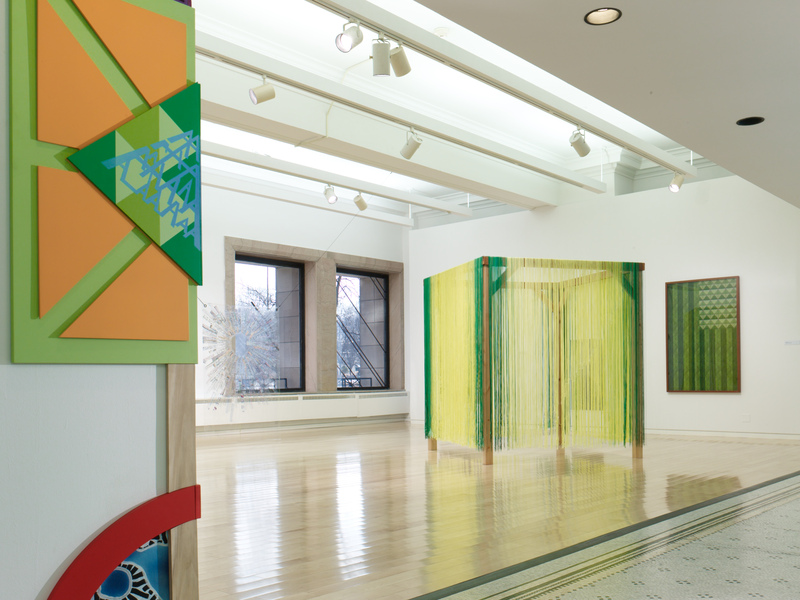 However, it serves as a perfect impetus for this exhibition of twenty-five Latino artists with Chicago connections, organized by Edra Soto and Josue Pellot. Let’s consider “standard” first as a measure of time. There is no shared past between these artists despite their common associations. The only standard of time that can be attributed to all is the present. It’s in this moment only that these artists are united in a single identity; an intriguing discourse into the permanence of sociopolitical categorizations and the possibilities of categorizing contemporary art. It becomes clear that, despite our best efforts, nationalities, geographies and other easy containers are simply insufficient. A standard is also a flag or coat of arms. These artists express an overarching rejection of titles or unfettered patriotism, and resentment for the singular identity of “Latino.” While the term is shunned, it is used deliberately within the exhibition’s texts creating a substantial paradox. Perhaps cultural identifiers have simply reached their conceptual endgame. These artists present individual flags, their icons, their pennants, sometimes quite literally. An oversized school-uniform shirt from Puerto Rico hangs from a bent flag pole in a work by José Lerma. Co-curator Edra Soto’s own American flag of tropical leaves proudly declares patriotic individualism. Candida Alvarez’s painting is a composite of past experiences, and literary and cultural references on a single plane. Through April 24 at The Chicago Cultural Center, 78 East Washington.